﻿ Bill of Materials and Wholesale Distribution: How do they fit? What is a Bill of Materials (BOM)? A bill of materials, as known as BOM or Bill of Material, is similar to a recipe in that it contains a list of components required to build a certain product. It also details the process of building assemblies and sub-assemblies towards the completion of the product. Furthermore, it describes the individual parts required at each stage and where they are in their production and procurement cycle. Each component has a number outlining the point it becomes necessary in the overall assembly plan. This shows its place in the hierarchy of assembly. Sub-assemblies will be numbered closer to completion than their component parts. This is illustrated in the diagram below. Each part and sub-assembly will need to be assigned a unique number, name and a description of that part. It is important that there are no duplicates here, as the purpose of this stage is to ensure that the correct parts are used at each point of assembly and that similar parts cannot become confused. This is especially important for wholesale distributors that carry large quantities of diverse parts and components. As the product is assembled, it is important to know where each part of the assembly is in its own product life cycle. The purpose of this is to ensure that each sub-assembly phase has been completed before the next phase. A part may be labeled as ‘in production’ if it has yet to be completed or ‘in design’ if it has yet to be approved. Individual components may also be described as ‘ready for use’. When designing new products, this can help to plan timescales and pricing. This is assigned to each component or part to ensure that the correct number of components are stocked in the correct sizes. Consistent units of measurement should be used to avoid confusion, and the correct number required in each size should be clearly outlined in demand forecast plans. 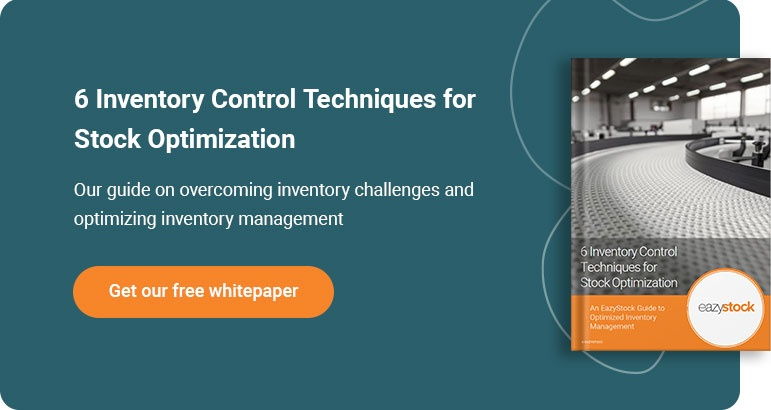 This stage is critical to a company’s inventory control models as under stock situations can result in delayed deliveries to customers and excessive over stock situations can wreak havoc on the businesses bottom line. This stage describes how the individual parts are obtained. It will be stated whether they are purchased off the shelf, made to order, or produced. Most wholesalers use distribution centers or warehouse stock locations to house inventory needed to meet their customer demand. Distributors need to have a clear command of their optimized order quantities for all components to ensure a smooth delivery to end customers. Safety stock level management, supplier lead-time planning and demand forecasting tools are critical during the procurement process to ensure that the correct number of components are purchased or ordered to prevent overstocking or halted production. Simply put, the purpose of the bill is to ensure the product is made right quickly the first time. This involves having all the components available when they are needed, and the sub-assemblies finished in the right order. An unavailable component can halt the production of a sub-assembly, which can halt the entire process. In today’s fast moving economy, customers will move onto the competition before they wait for back ordered products. Over stocking inventory is just as dangerous to the business as carrying too much inventory with little customer demand can result in increased holding, insurance, labor and obsolescence costs. While this process is a major part of manufacturing, it also plays a part in wholesale distribution. In the distribution chain, the distributor needs to be aware of the whole process in order to correctly stock items. For instance, if they produce kits for sale, they will need to know how many of each sized component they need, along with availability from suppliers and manufacturers and how many made-up kits are already in stock. Similarly, where servicing or repair parts are supplied to the automotive industry or equipment industry, they will need to know about the full servicing or repair process, and the BOM would cover this requirement. Most inventory management systems have a bill of materials process in place, however the capabilities are limited or outdated. Inventory optimization software like EazyStock extends advanced demand forecasting and purchasing process recommendations for outdated inventory management systems. EazyStock even comes with its own BOM functionalities to support more accurate procurement practices. These added benefits ensures distributors keep enough of each product in stock so that the buyer has everything needed to complete a service or a repair. A common tactic to avoiding outages is to overstock items in stock locations, but this practice is detrimental to profits in the long run. Bill of Materials management helps distributors know the number of items required as part of the distribution chain to fulfill orders, however that is the extent of the value offered. Further tools are needed to produce a truly lean and optimized supply chain. With the help of EazyStock, you can increase visibility into your supply chain to stay ahead of any surprises that might come your way. Implementing EazyStock into your existing ERP or inventory management software allows you to analyze trends for seasonality and accurately forecast demand. Distributors can sync warehouse locations and multi-location planning, so as to avoid buying extra stock of an item already owned, and distributors can monitor how stock levels are changing over time. Best of all, the new version of EazyStock’s inventory optimization software includes new Bill of Materials planning capabilities that allow you to link related items together in order to know how certain stock levels of one item correlate with stock levels of another. 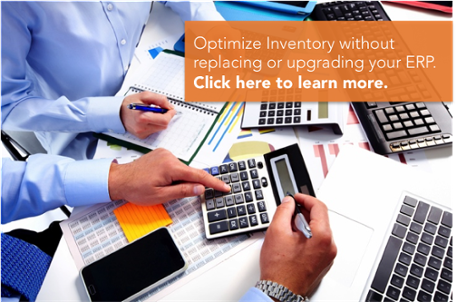 EazyStock’s inventory optimization software is a cloud-based solution that is able to be integrated with any ERP system you may currently have in place. Contact us for a free demo of EazyStock or visit our webpage to learn more about how you can be optimizing your business! How Does ABC Analysis Affect Inventory Optimization?